Meet the Happiest Pinoy Ambassadors! 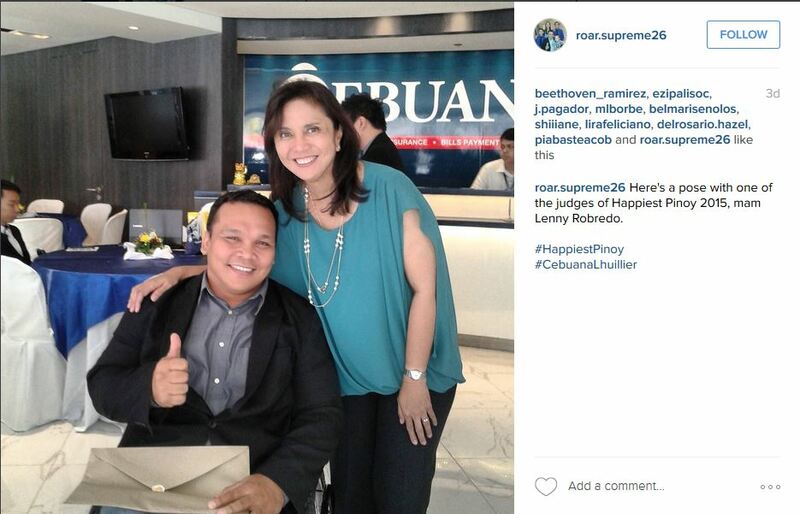 Cebuana Lhuillier recently named its "Happiest Pinoy Ambassadors" -- social media influencers who will continue to spread and inspire happiness online. This year's influencers are 2015 Happiest Pinoy Richardson Navor, 2012 Happiest Pinoy Rommel Arellano, and 2015 Happiest Pinoy finalist Naprey Almario. Navor is a financial analyst and a professor at the University of the East. Struck with cerebral palsy at a young age, this ailment did not hinder Navor from pursuing the welfare of other differently-abled people. Arellano is a civil servant based in Bataan. He is also a motivational speaker and leader of an organization for persons with disabilities in the province. Despite having polio when he was younger, Arellano was still able to overcome the odds and become the man he is today. Almario is a blogger and former "housemate" in a popular reality TV show. Growing up different, he viewed his situation as a gift and used it to reach out to the less fortunate children in Davao City through his blog.